Northwest corner of W. Broadway and Brand Blvd in downtown Glendale. 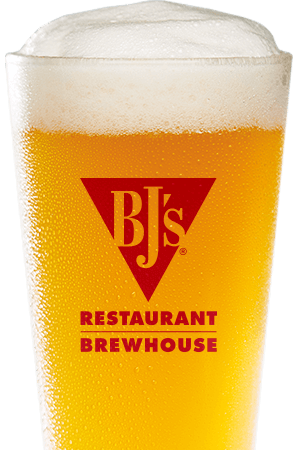 California has a fine tradition of dedication to high quality food and beer, and BJ's Restaurant & Brewhouse is proud to carry on that tradition. We're proud to serve Glendale with a great variety; walk through our Art Deco entryway and find yourself transported to a place where you and your friends can enjoy yourselves. 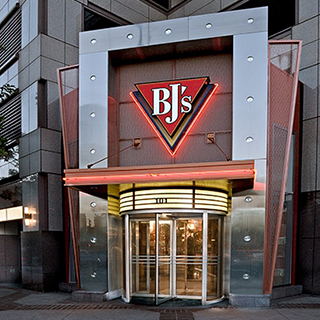 BJ's Restaurant & Brewhouse has an impressively large menu with a great variety of tasty food. You can choose your entree depending on what you're in the mood for--and there's plenty to choose from: BJ's Signature Deep Dish Pizza, Handcrafted Burgers, Garden Fresh Specialty Salads, Specialty Entrees (including dishes like grilled pork chops, New Orleans jambalaya, and fresh Atlantic salmon), and much more. We even have a gluten-free menu. With such a great selection, it's easy to choose whatever you're in the mood for, or bring several friends along. Just be sure to save room for our delicious Pizookies or other tantalizing dessert items! 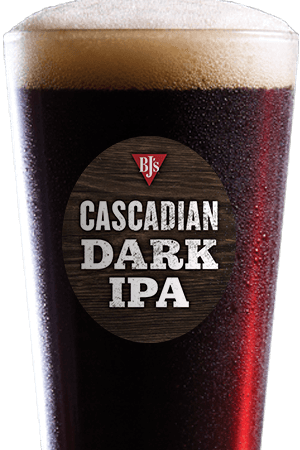 Delicious food needs delicious beer, and BJ's Restaurant & Brewhouse proudly provides this. We have a team of master brewers who handcraft our beer selection, bringing you all kinds of ales and lagers. And we do have something for every taste. Hopheads will love our HopStorm IPA (65 IBU), fans of German beer will love our Harvest Hefeweizen and Brewhouse Blonde (a Kolsch), and we even have something for fans of light beer--our LightSwitch Lager. 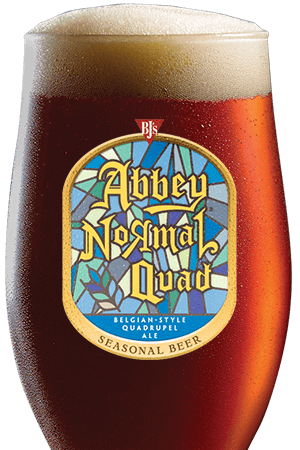 In addition to these and many other beers that are always on tap, we have a rotating selection of seasonal beers, so you should be sure to come in often to see what's new. For an experience that's enjoyable, as well as food and drinks that are outstanding, BJ's Restaurant & Brewhouse is the place to go. Come in today and bring some friends, and you just may find that we're your new favorite place! Located in the heart of downtown Glendale, we are the place to go for dinner, drinks, and dessert. Come join us!